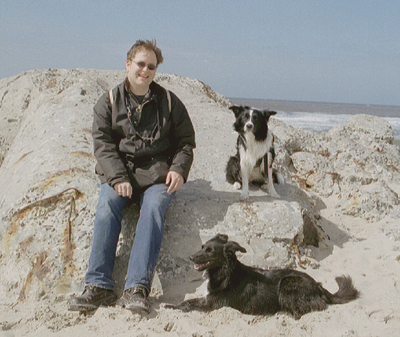 We are Conny and Heiner Stahn, both born in 1974, married since 2001 and both enthusiastic Border Collie-Fans. Sicne April 2009, we are living in Lilienthal, on the outskirts of Bremen, Northern Germany. After completing her studies at the International Open University and achieving the academic grade of Bachelor of Animaly Psychology, Conny is working in her own office as animal-psychologist, Heiner is press-spokeman for the Senator of Culture in Bremen. 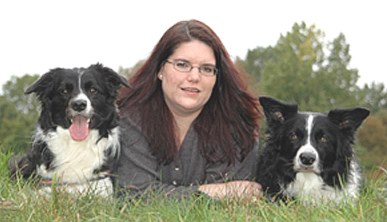 The main goal of our breeding activities is to breed healthy, balanced Border Collies. On the other hand, we want to preserve the Border Collies enthusiasm for his work. A Border Collie needs some kind of occupation, which he can do together with his owner on a regular basis. Who was seen the eyes of delighted Border Collie and his great enthusiasm knows what we mean. The Border Collie is the ideal dog for a variety of activities, reaching from herding and sports like agility to the work with handicapped people or working as a rescue dog in social services. What you do is up to the personal preferences of owner and dog. If you like to have further information, don’t hesitat to contact us.